Guarantees Against Loss Not A Panacea… but maybe still valuable. Active managers can’t beat their indexes consistently. 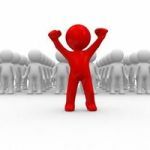 During my 25+ years of helping people navigate financial waters, I can honestly say I have never had a single client who cared about beating an index – any index – except inflation. Pretty amazing since most media tend to focus on only two things: Active managers vs. a passive index and cost of ownership. Little, if anything, is ever said about the value provided. To them, apparently, value is ‘nil’. Actually, our industry is at fault, as well. Look at our quarterly or annual reports. Performance is always measured against an index or some blend of indexes. Industry custodians don’t get it, either. So, what approach offers the best chance of meeting your goals? As you might guess, there is no one right answer. The answer will depend on which approach is most appropriate for you. When active managers are chosen for a portion of a client’s portfolio, in most cases what the investor is really seeking are returns that outpace inflation while limiting downside risk. Take a look at this purely hypothetical 10-year market environment. You’ll see our hypothetical market begins and ends with 20-point gains. There are six years of +20% and four years of -20%. Portfolio A begins with $500,000 and invests in that market. To keep things simple for illustrating this concept, we’ll ignore expenses and taxes. Those aside, you’ll note the average annual compound return and the ending value. The numbers aren’t important except for comparison with the next chart. 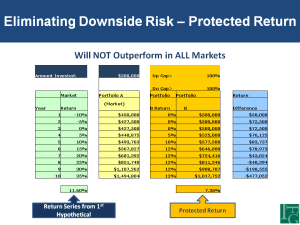 IHere’s a hypothetical portfolio that’s been managed for downside risk. Here our fictitious manager is very conservative, capturing only 80% of the upside of each up-market, and also very effective, capturing only 70% of the downside moves. Despite the fact this manager never beat the market on up years, outperforming by limiting losses in down years lead to an overall outperformance. It’s a made-up scenario, I know, but it does illustrate a concept: Limiting the downside can be quite effective – maybe even more than trying to beat the market indexes and accepting big downside losses. What if we eliminate the downside altogether? Insurance companies market their equity-indexed annuities and equity-indexed universal life products with this guarantee. What if you could capture 100% of the upside up to a ‘cap’ of 12%, for example, and be guaranteed that you never lose money? You’ve seen the commercials. 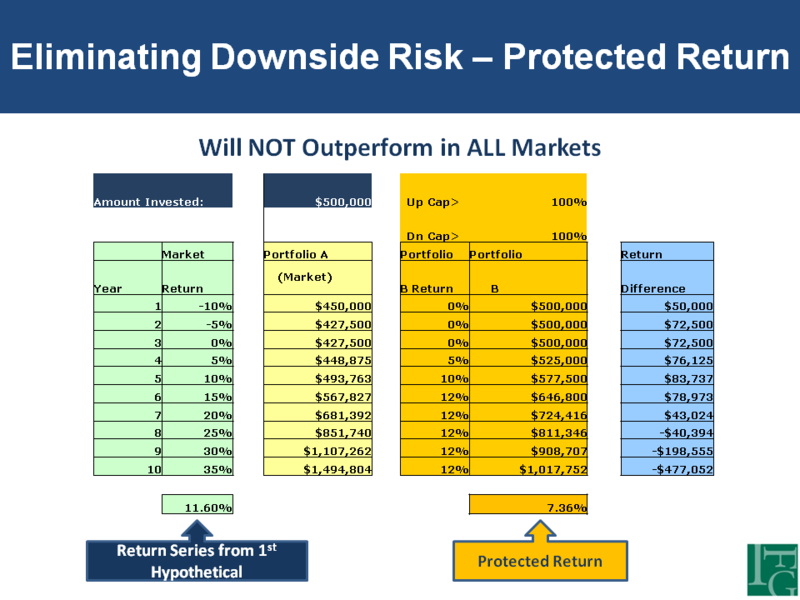 Here’s the same hypothetical market return, this time compared to the strategy that eliminates downside risk! Wow! Looks good! Compare the ending values with our manager limiting losses in the prior example. Now, even if you factor in expenses and inflation, it would still look pretty good. But, does this method outperform in all markets? In this third chart, I’ve created another hypothetical series of market returns starting at -10% and moving all the way up to +35% over ten years. There are only two down years, yet despite that, this market return series outperformed the guaranteed return. In fact, our downside guaranteed portfolio came in $477,000 BELOW the ‘market’ portfolio. You could create a million market return sequences and come up with a million different variations. The point is while these downside guarantees don’t necessarily mean you will make more money, they can provide a valuable ‘protected’ return. Again, who cares? If the portfolio is advancing you to your goals, that should be all that counts. But, how do you position these guaranteed products in your portfolio? What asset-class should they be assigned to? Just because you may have participation with a stock index, do those assets get assigned to the stock portion of your allocation? If not, why not? And, how would you position them? The answer might surprise you. Many retirement plans may fail. Some time ago I created a report on this subject – you might find it helpful. You can access it here. Annuity income may feel secure; but, is it really? Once you realize that money is worth only what it can purchase, the effects of inflation become woefully clear. Suppose your annuity will provide you with $50,000 in annual income through retirement. It sounds good, but does it provide for cost-of-living increases? If not, those payments will likely be worth less each year. Assuming a 3% inflation rate, your $50,000 will represent only about $48,500 of purchasing power in today’s dollars in the second year. In the tenth year, your purchasing power would be around $37,200 in today’s dollars; and, in the 20th year, it would be around $27,700! The pattern is clear: Your purchasing power would be declining each year. If you purchased the annuity in order to preserve lifestyle security, you may be very disappointed. All have their own bells & whistles and all have their own set of characteristics and costs, sometimes not so obvious. And, the chances are excellent you’re paying extra for any add-on benefits that may appear free. Often, you may be able to replicate those same benefits with less cost through some basic and prudent financial planning. Just remember NOTHING is ever the answer for ALL your money. Diversification isn’t about money; it’s about risk. And, there are more risks than one you should be considering. Also remember…. When something sounds too good to be true… well, you know the rest. If you’d like to learn more about income annuities, I’ve prepared an Income Annuity Primer for you. It’s free when you subscribe to IFG Insights. If you’re not happy with Insights you can always cancel; but, I think you’ll like both the primer and the ezine. You can get the primer here. 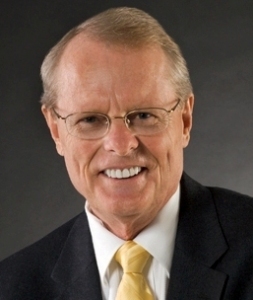 Jim Lorenzen is a CERTIFIED FINANCIAL PLANNER® professional and An Accredited Investment Fiduciary® in his 21st year of private practice as Founding Principal of The Independent Financial Group, a fee-only registered investment advisor with clients located in New York, Florida, and California. 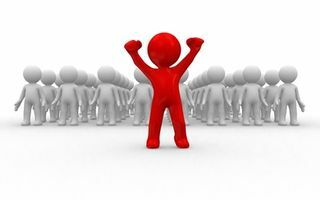 He is also licensed for insurance as an independent agent under California license 0C00742. IFG helps specializes in crafting wealth design strategies around life goals by using a proven planning process coupled with a cost-conscious objective and non-conflicted risk management philosophy. Buying An Annuity? Keep it Simple! It isn’t uncommon for people to buy things they don’t need; and when it comes to annuities, it’s often no different, and it doesn’t help when (sometimes) an agent adds bells and whistles, in the form of elaborate policy riders, that the client will never use! Today, because many baby-boomers are concerned about a lifetime income they can’t outlive, annuity recommendations often include a guaranteed minimum withdrawal benefit (GMWB) rider. The problem is that often it isn’t needed. Worse, the cost of the rider reduces the earnings potential for wealth accumulation by eating away at the interest clients would otherwise earn. Rich Lane and Jeff Affronti, in the October 2015 issue of National Underwriter, cited an example of a buyer who purchased an annuity with $1 million in premium who paid more than $160,000 for this type of rider – and it ended-up being a benefit the client wasn’t even going to use! They pointed out that the example may be extreme; but, the point is no less valid: It’s a waste of money if it isn’t used. In today’s low interest rates, it may not be the best choice to add an income rider over selecting the appropriate rate of return. The GMWB rider may sound great, but during the accumulation stage the focus should be on accumulation. 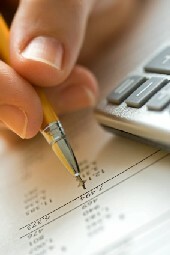 If income is needed down the road, a deferred annuity will allow the client to turn-on (annuitize) the income stream. If they need income now, simply purchase a single premium immediate annuity (SPIA) that allows instant access to funds that can be used to supplement Social Security. For a guaranteed income, it’s probably the highest payout for the money available today. Deferred annuities have an income stream ‘built-in’ to the product – they all have a basic fundamental feature that allows the owner to elect an income stream on or before the maturity date – and it doesn’t cost a thing. Something to bear in mind. You might find our Income Annuity Primer helpful. Optimizing Retirement Income: Combine Actuarial Science with Investments. You’ve probably heard about “The 4% Rule” – it’s been an ‘accepted’ rule-of-thumb for years that a retiree could withdraw 4% of his or her initial retirement portfolio value each year (increasing for inflation only, not market returns) and could reasonably expect his or her retirement nest-egg to last. It’s also lead to some back-testing within the industry to determine just what retirees can expect. A 3.5% or less is often more appropriate than 4% (for obvious reasons). 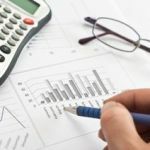 When incorporating an immediate annuity at age 70, the annual payout almost always exceeds the 4% rule and does not risk full income or running out of money – in essence it’s purchasing an unending cash flow that, testing shows, exceeds the 4% rate. Immediate annuities offer many advantages, but they likely not suitable for those with impaired longevity, liquidity needs, and adequate pension income. For those who face longevity risk with no pension income, creating a “floor” may make some sense, after all. He compared these three approaches for 35 year-old and 50 year-old couples. Without getting into the weeds, I just say his study found a “substantive evidence that an integrated approach with investments, whole life insurance, and income annuities provide more efficient retirement outcomes than relying on investments alone.” It’s not an either/or decision. Withdrawal strategies vary beyond what’s been discussed here, of course, which is why professional help can be very important and the difference of even hundreds of thousands of dollars. There are some things you should consider before purchasing an annuity. You can access my report here. Also, inflation is also an issue worth considering. It pays to do your homework and have a good guide. If I can be of help, feel fee to get in touch! Jim Lorenzen is a CERTIFIED FINANCIAL PLANNER® professional and An Accredited Investment Fiduciary® serving private clients since 1991. Opinions expressed are those of the author and do not represent the opinions of IFG any IFG affiliate or associated entity.The Independent Financial Group is a fee-only registered investment advisor with clients located across the U.S. He is also licensed for insurance as an independent agent under California license 0C00742. Jim can be reached at 805.265.5416 or (from outside California) at 800.257.6659. The Independent Financial Group does not provide legal or tax advice and nothing contained herein should be construed as securities or investment advice, nor an opinion regarding the appropriateness of any investment to the individual reader. The general information provided should not be acted upon without obtaining specific legal, tax, and investment advice from an appropriate licensed professional. 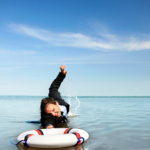 Are we in the midst of a 401(k) failure? Some time ago, PBS aired an excellent program on retirement and how the various generation, including baby boomers, are being affected by their planning – or failure to plan. It’s an hour-long program entitled, “When I’m 65“. The program addresses savings rates, withdrawal rates, investment pitfalls, issues to address, pitfalls to avoid, and even the difference between advisors, including the fiduciary standard – what it means and why it’s different from the ‘suitability’ standard adopted by product sellers. It also discusses the recent legislation affecting the advisory industry and consumers and even addresses annuities – insurance-based products widely misunderstood by much of the general public who tend to see things through an ‘either-or’ lens (for additional information on income annuities, you can access a ‘primer’ here). This PBS program is well worth watching. You may even want to forward it to someone who you think can benefit. You can see it here – scroll down to the video. I addressed this issue myself in a webinar I recorded last year. It’s also about an hour long; so, for those of you who aren’t faint of heart, you can access it here. I think you might find it interesting, as well. Hope you find all of this worthwhile and helpful.